Carboncans Headphones have travelled, they are now stateside and available to buy in what is regarded as the coolest DJ shop on the planet. 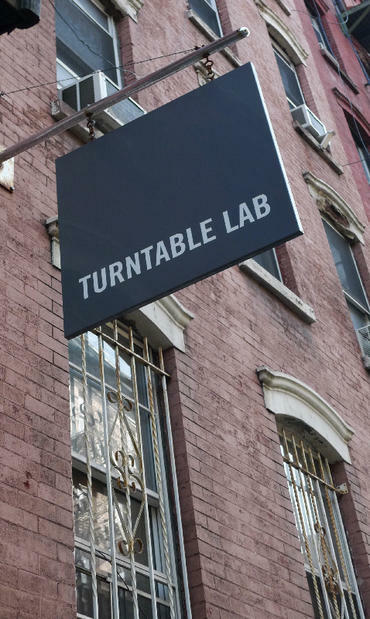 What makes Turntable Lab so special? Well not only do they stock the very best the world has to offer in DJ hardware and a great selection of vinyl, but it’s mostly because of their dedication to the world of DJ and music. For over a decade TTLab have curated the best collation of goods to support DJ and music culture and have only ever offered quality. Their following is huge because they have kept true to what they do best, something we here at Angle & Curve strongly respect. If your ever in NY, go and take a look in their store.